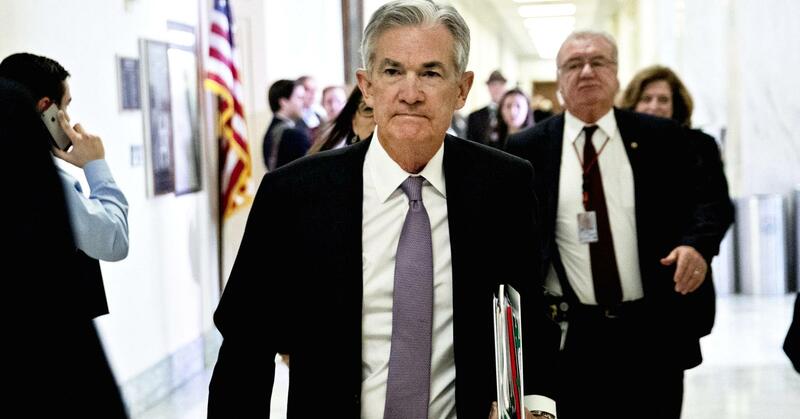 Policymakers need to be on guard for imbalances in the financial system, but there appears little danger of that being the case now, Federal Reserve Chairman Jerome Powell said Tuesday. Still, the central bank chief indicated that the Fed plans on hiking rates three times this year and may be inclined to a fourth, particularly since a series of fiscal measures including tax cuts and increases in spending has come to pass since December. Powell said individual Fed members will be making new projections at the March meeting, which would be influenced by the fiscal aggressiveness. “I wouldn’t want to prejudge that new set of projections, but we’ll be taking into account everything that’s happened since December,” he told the House Financial Services Committee. Repeating his previous warnings, Powell said the central bank has to be careful as stock market prices continue to rise. As Powell spoke, stocks turned from positive to negative as he reiterated the need for the Fed to continue on its path of consistent, gradual rate hikes. Addressing the economic situation, Powell earlier in his prepared remarks said economic growth is “solid.” Asked about the flattening of the yield curve, he said he was largely unconcerned about compression between government bond yields.